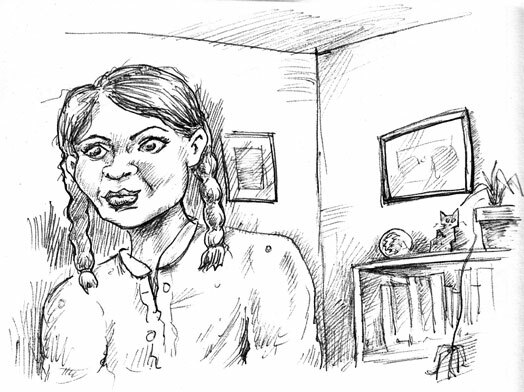 I’ve been so deep into digital, that I began to wonder whether I could still do useful things with paper. Below is a drawing a made during a phone coversation (they’re often long, at least with my friend). Black ballpoint pen in my sketchbook. 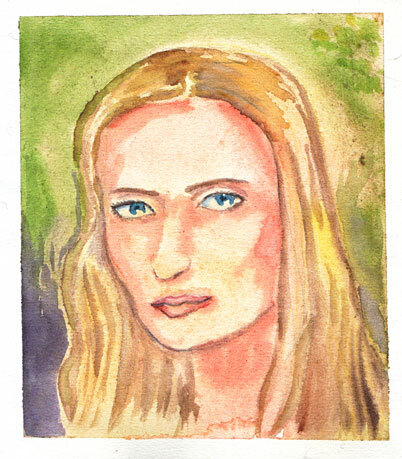 Above is a made-up woman painted on a sample of my Mom’s old watercolour paper. It’s nice, but surprisingly thin. Still, I’m back into stretching things. Trying to accomplish a lot of “real” paintings for Christmas.